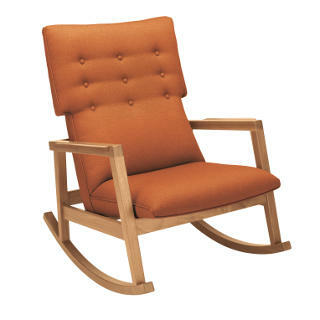 I am in love with the Risom Rocker. I don't mean to be, but lately I am really on a Danish modern kick. It could have something to do with the fact that we just bought a beautiful mid century credenza and while I don't want to go in one direction with furniture and decor, I kind of can't help it! I just love all the clean lines and well built furniture from this era!